The 1919 W552 Mayfair Positions Drawings strip card set included generic players at various baseball positions. Like other strip cards, they included rough color sketches of players on the front. This might seem like a basic strip card set, but there’s a lot more than meets the eye here. The cards were produced by the Mayfair Novelty Company and are not numbered. They are found with two different backs – one entirely blank and a second with small orangeish-yellow diamonds (in a pattern with some colored in while others are not). The set recognizes players at various positions and circumstances, such as base running and batting. Players in the sets are found with either a cream-colored uniform (sometimes with a ‘P’ visible) or with a light blue uniform (sometimes with a ‘C’ visible). One intriguing thing is that, while these are generic images with no players named, some certainly resemble specific players. The most easy to spot is arguably Honus Wagner as the shortstop and batter. Calling these Wagner cards is easy to do for a few reasons. First, the players depicted have the same famous ‘P’ on the uniform as Wagner’s Pirates did. Second, Wagner was one of the most popular players in the pre-war era so featuring him on two cards would make a lot of sense. Third, shortstop, one of the cards, was Wagner’s position. And if all of that still isn’t enough, the rough cartoon drawing even resembles his face to some degree. Finally, the socks on the players with the ‘P’ also were the same ones worn by Wagner and the real Pirates, as seen here. Another potential match is on the fielder card, which is sometimes considered a Shoeless Joe Jackson issue. This card has drawn some comparisons to Jackson’s Polo Grounds card, which looks like the same pose but without a hat and glove. Further proof to that theory is that in an uncut sheet linked below, the card has the same pose but without a glove as Jackson’s Polo Grounds card does. It’s possible that to distance themselves from using the likeness of the players (which would be a problem if they didn’t pay them) that the hat and glove were later added. 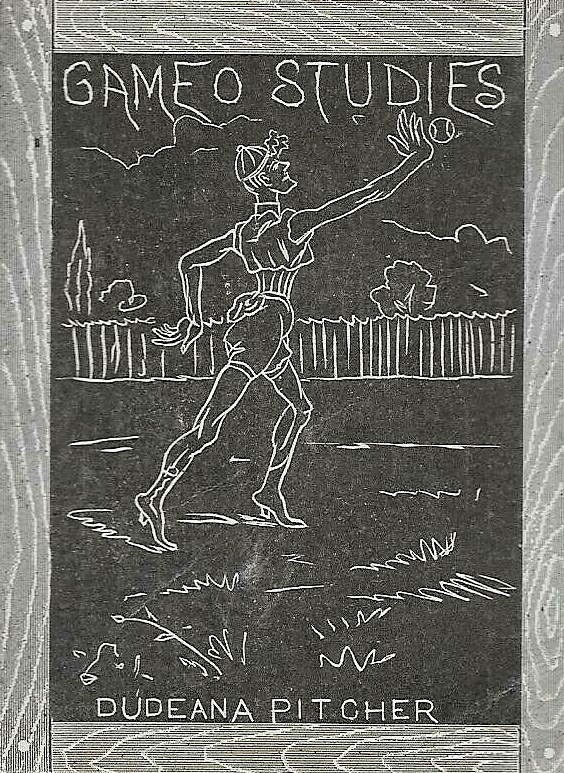 A stranger match can be found on one of the two first baseman cards that features a player with his hands up in the air as well as one leg bent and off the ground. This looks a lot like the famous Hughie Jennings ‘Ee-Yah’ pose. Matching this one to Jennings seems harder to do because it shows a fielder and by 1919, Jennings was solely a manager. But he also played more than 300 games at first base and even appeared there in his only game on the field in 1918. Here’s a more in-depth look at the possible players linked to this set. There is also an intriguing variation here that I noticed recently. The ‘Wagner’ shortstop card, for example, is found with both a forward facing P and a backward one. Interestingly enough, the entire image isn’t reversed on the backwards P card – only the letter. The only other ‘Wagner’ card I’ve seen with a reversed P besides the one I own (pictured below) is one in an uncut sheet where the positions were not included on the cards. That 15-card sheet is often identified as a proof or even as transfers since all of the letters are backwards. But that sheet doesn’t list the positions at the bottom and it doesn’t have the border around the picture. That could be a completely separate issue from the W552s but I have cataloged them here as the images are the same as on the other cards. The Jackson card below is, to date, the only one I’ve seen with a reversed ‘P’ that is an actual card and not from that paper thin sheet. The proof sheet also includes some cards/poses not included in the actual known set. Regarding the Wagner variation, there does not appear to be any correlation with the card backs. Both of the Wagner regular ‘P’ and reversed ‘P’ cards, for example, have the same orange-yellow diamond background as opposed to the blank ones. Other errors surely exist. They likely are not that plentiful, though. To date, I have only seen one other one – a Fielder with a backwards ‘P’ (the regular card has a ‘C’ facing in the proper direction). In addition to the standard 12-card sheets and the rare 15-card proof/transfers sheet, these cards are also in a partial set of sorts found in an uncut strip of ten cards. Instead of only cream colored and blue colored uniforms, players are found with a mixture of outfits, including striped uniforms. These cards, too, feature players in opposite color or different colored uniforms as their regular W552 cards. For example, instead of the cream colored uniforms the Wagner card shows, those cards picture him in a blue jersey (shortstop) and a striped jersey (batter). And the ‘Jackson’ Fielder card is different from his regular issue., too. It shows him with a yellow jersey while his 12-card sheet issue has him in blue. The 10-card strip also includes at least one error and possibly two of them, depending on how you look at things. Both involve pitcher cards. The first error is that one of the cards in the 10-card strip has a misspelled caption ‘Picher.’ The other is the second (non-Wagner) shortstop card looks an awful lot like a pitcher pose instead of one you would see from a shortstop. In the picture, the player has a leg kick up in the air before what looks like him to be delivering the ball to the plate. Some skeptics to that being an actual error card may point out that a pitcher mound is not visible beneath him – thus, it isn’t depicting a pitcher, but instead a shortstop. But that is of little consequence considering that many of the cards feature players not exactly properly positioned on a baseball diamond. 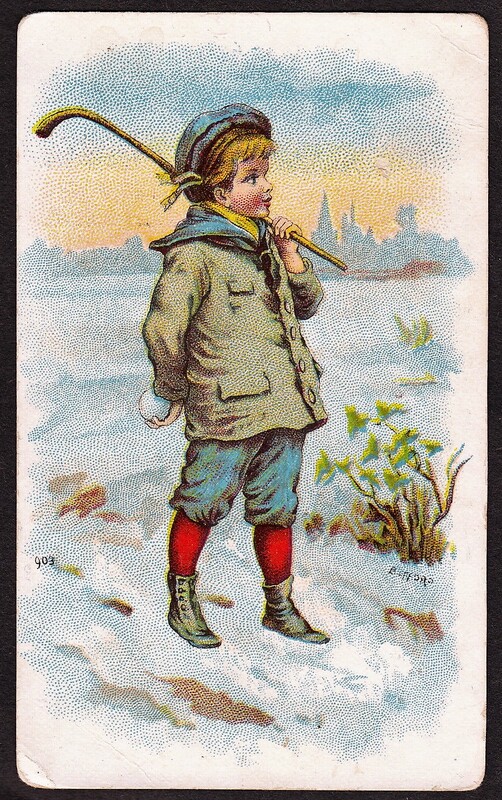 One of the batting cards, for example, shows a batter standing in front with a base behind him. Clearly, it is a batter but the base placement doesn’t make any sense. Another shows a catcher on a base that is not home plate. Perhaps the images were drawn by someone with not a lot of knowledge of the game of baseball. But the lack of a pitcher’s mound does not mean much in this case because of several of the other drawings. For that reason, I consider it a potential error card. While Jefferson Burdick in the American Card Catalog identified only ten cards in this set that he saw (did Burdick, perhaps, see one of the uncut proof-like strips and come to this conclusion? ), I know of 39 cards if you count the ones in that ten-card strip linked above and the 15-card proof/transfers sheet mentioned earlier. Below is a complete master set of all 39 known cards, including the cards, which are arguably proofs. However, most people would probably consider the set complete at 12 cards or 14 cards (if you include the Wagner and fielder cards with a backwards ‘P’). For the sake of reference, I have identified the cards found in the 10-card strip or the 15-card sheet as such. With that said, here is the 39-card ‘master’ checklist for the W552 set that I am currently aware of. I would welcome any alterations/additions to this list.